In one of the Apple Store in new York came in an unusual package with a huge amount of crystal meth. Employees of the largest corporate Apple store was stunned a very specific load that they sent the FedEx shipping company. 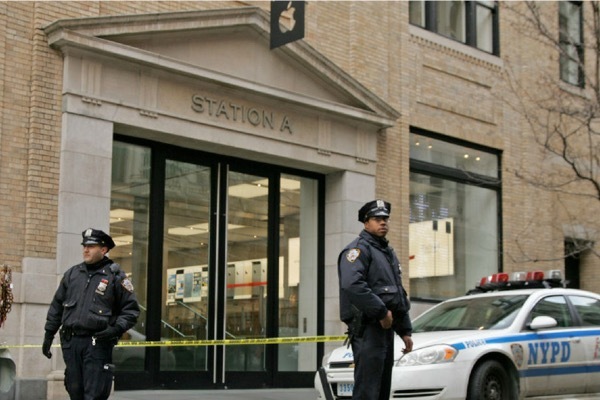 One of the Apple Store employees opened the package and found almost a kilogram of drugs. Immediately after the discovery became known, the store the police arrived and closed it for a while, until it was clarified what happened, and the package has not been removed. Police did not disclose the name of the sender, but it is reported that detained him. The offender was found the next day thanks to the delivery service, which it is short-sighted have used for the shipment of prohibited goods. This is not the first case when the device Apple or its employees appear in cases related to drugs. Earlier this year the smuggler was transporting cocaine in boxes of iPhone in Abu Dhabi. For this he was sentenced to death. Apple itself such cases no comment. This time the Corporation representatives also refused to discuss the incident incident.